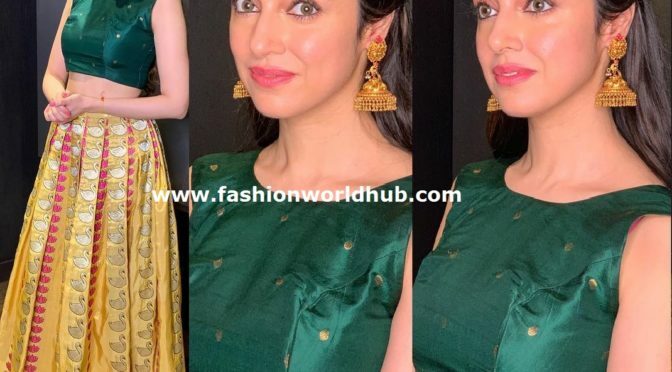 Divya khoslakumar attended Times business award event and she was snapped in Beautiful yellow silk long skirt paired with emerald green crop top . She has accessorized her look with heavy gold jumkhas from ” Sri krishna jewellers” . Neutral makeup and center parted sleek hair complimented her look. She looked good! 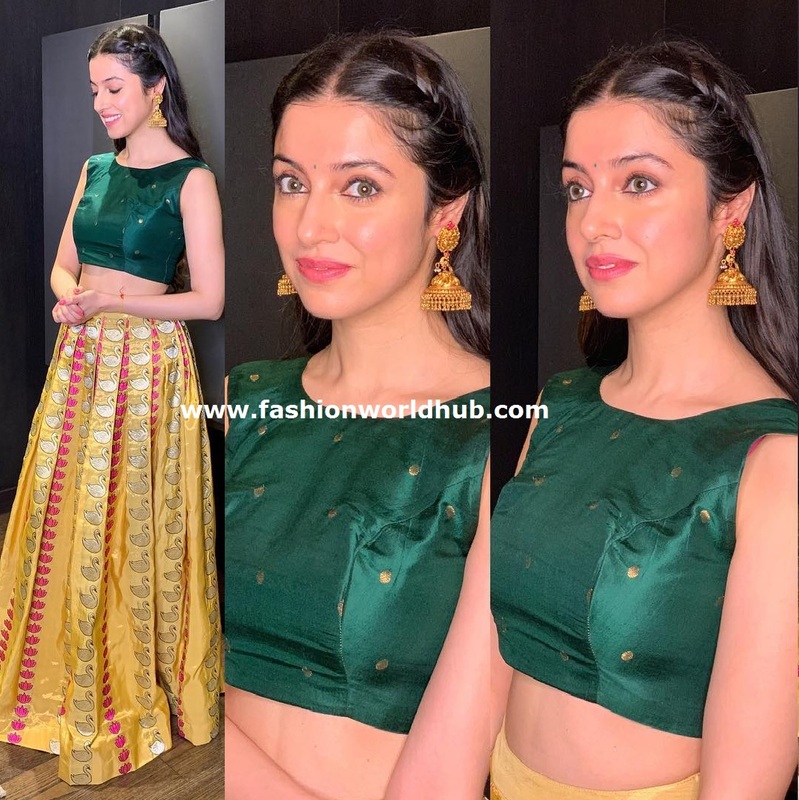 Divya Khosla Kumar at Asia Geo Spa Awards 2016. Previous PostAndrea Jeremiah in a traditional sareeNext PostRayanee and Abhimanyu mithun in Traditional look!